MRP14 antibody LS-B6597 is an unconjugated mouse monoclonal antibody to human MRP14 (S100A9). Validated for ELISA, IHC and WB. Tested on 20 paraffin-embedded human tissues. S100A9 / MRP14 antibody was raised against human peripheral blood monocyte components. 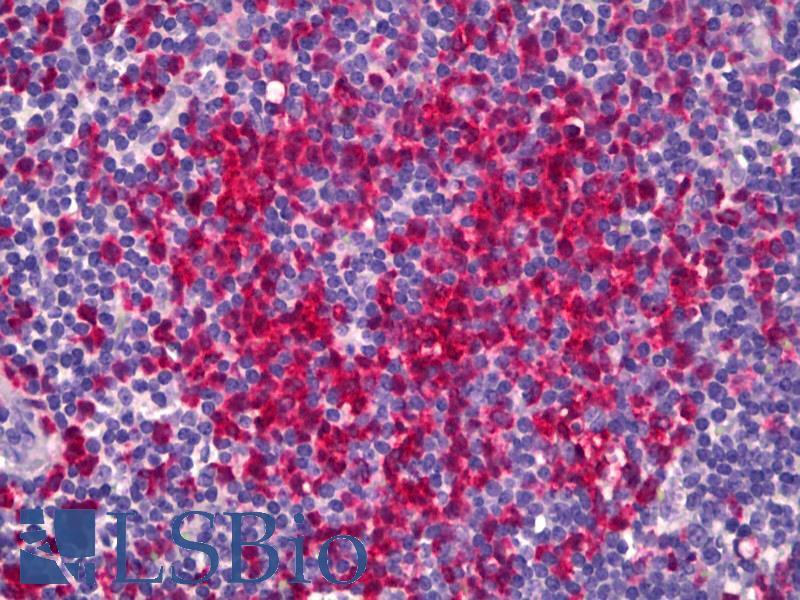 Splenocytes were fused with mouse myeloma cell line NS-1. Reacts with macrophages and detects the well-known leukocyte L1, cystic fibrosisantigen. Using Western blot analysis 47-8D3 was found to detect a single protein band of 14 kDin lysates of human monocytes and granulocytes, which was demonstrated to be the calcium-bindingprotein MRP14. Staining is strongly enhanced after digestion with trypsin. 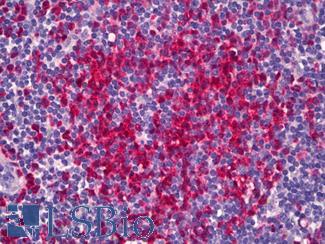 Anti-S100A9 / MRP14 antibody IHC of human tonsil, leukocytes. Immunohistochemistry of formalin-fixed, paraffin-embedded tissue after heat-induced antigen retrieval. Antibody dilution 1:100.